16th Century grade two listed Cotswold inn, The Bell Inn, located in the quaint village of Selsley, is a fine example of a typical traditional Cotswold pub with rooms. Serving up real ales, locally sourced food and seasonal game on a daily basis. In April 2017 Chef Proprietor Mark Payne decided that it was time to upgrade the existing small kitchen by building an extension and converting all gas appliances to electric. Mark approached Target Catering Equipment, as local Carbon Trust Accredited Suppliers, to work with him on the project to design and deliver a sustainable kitchen that could meet all his needs. The kitchen cookline was designed to encorporate the very latest Target TR-E+ Range complete with induction hobs and induction plancha, Unox 5 grid combination oven and Lincat electric fryer. The huge potential energy savings that could be made when compared to the existing gas appliances was apparent and therefore warranted a Carbon Trust Green Business Funding application to be made. Following an Energy Saving Assessment completed by Target and the review of the application by the Carbon Trust, the Bell Inn Green Busniess Funding application was successful and they were granted £4,129.50 which would help offset the expenditure for the energy efficient equipment. 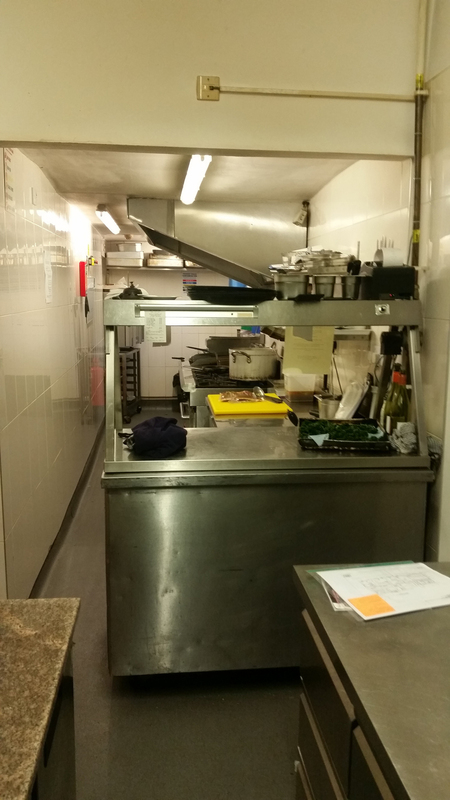 Whilst the kitchen renovation was being completed Mark wanted the pub to remain fully operational so a temporary kitchen was hired for 2 weeks while the major building work took place. The kitchen doubled in size by removing a central wall and a new backwards facing kitchen extraction canopy was manufactured and installed by Target. The ventilation canopy incorporated smaller twin fans to help reduce noise in the kitchen, this also provided a natural stack ventilation system. Consequently the fans now do not need to be operational all the time, helping to provide a quieter working environment for the kitchen brigade. By repositioning and converting the cold room and freezers, large cold rooms were formed and the pastry section completely changed to become a dishwashing area with Classeq pass through dishwasher. Existing sinks and tabling were joined together to create a more streamlined operation whilst keeping costs down. 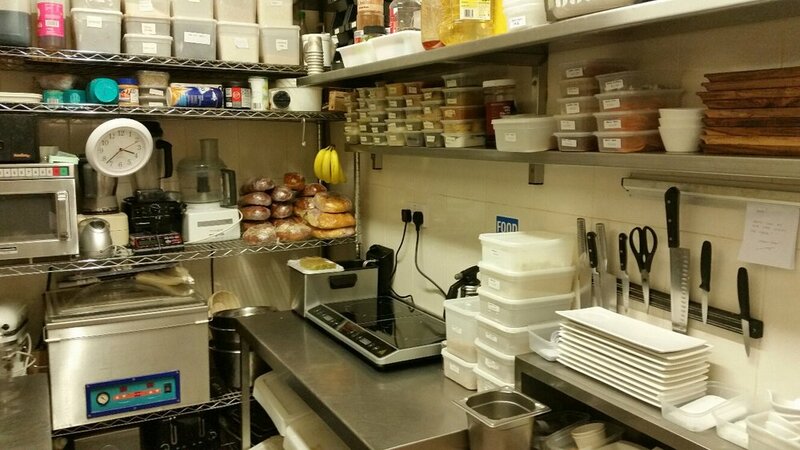 The pastry section is now located away from the busy main cookline with its own table and induction hobs. It also benefits from its own Turbofan® covection oven with steam injection. An island for prep was formed to take sous vide and vac pac machines, microwaves and salad bar with existing counter fridges and fitted with bespoke Target 2 tier gantries complete with power feed from above. Following completion of the kitchen renovation the Bell Inn continues to grow from strength to strength and has subsequently been recognised in the 2018 Michelin Guide, 2017 Good Food Guide (Waitrose), been awarded with 2 AA Rosettes for Culinary Excellence and received a 5 star hygiene rating by environmental health and a 4 Star AA quality inspected rating . Mark and the team at The Bell are excited for the future of their business, and are looking forward to all of the opportunities their investment will bring.